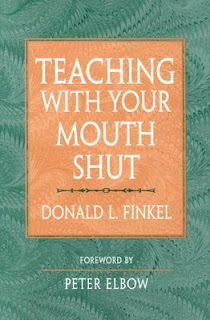 At the opening of Donald Finkel’s marvelous Teaching With Your Mouth Shut, he asks his readers to stop reading and take a simple test. Simply put the book down, he suggests, and spend a few minutes describing in writing the most significant learning experiences you ever had. When you are done, return to the book and answer a few questions about these experiences. When I took this test, my mind immediately went to a couple of books that have had a significant impact on my thinking. Reading them had been an intellectual adventure. So I described myself stretched out on my couch one summer in my tiny apartment and so absorbed by all the new ideas that I did not realize the afternoon had slid into early evening. 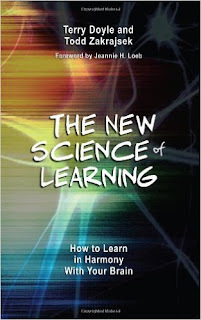 Then I went back to Finkel’s book to answer his questions, among which were the following: Did the learning experience take place in a classroom? Did it take place in a school? Was a professional teacher involved in making it happen? For most people, Finkel notes, the answer to all of these questions will be no. This was certainly the case for me. All of my most profound learning experiences happened in private encounters with books. There was nary a teacher in sight. Indeed, with the single exception of learning how to write a check in a fifth grade consumer math course, I can think of very few things that can be walked back to an actual moment of instruction. Obviously teachers have taught me many things, but none of these countless bits of information strikes me as a significant learning experience. They don’t even make the top 100 learning experiences in my life. I simply can’t recall ever having them taught to me. It was startling for me to realize this, especially as someone who teaches for a living. But Finkel doesn’t use this test to belittle the work of teachers. Rather, he wants to refocus our assumptions about what teachers actually do. We assume they teach us by telling us things, but being told things is perhaps the least effective way of learning anything. I know this. Hell, it’s the cornerstone of my teaching philosophy. My job is not telling students things. It’s engineering the circumstances for learning to occur. Even so, you would be amazed at how often I have to re-learn it. I often fall back into the error of leading classes with “telling-heavy” moments. In fact I just hit one of those patches in a couple of my courses over the last two days, and now I’m kicking myself for again doing too much yakking and not enough shutting up. I've been feeling rotten about this run of bad teaching and remonstrating myself for never getting it right. And once again I realize--for the freakin' 100th time--that the lessons we teach are the ones we most need to learn. This job. Sigh. Time to be quiet now. Two weeks ago I happened across a retired colleague who was back on campus for a special event. I was returning to my office after a trip to the campus bookstore and she was exiting the auditorium where the event had been held. Surprised to see her for the first time in a few years, I smiled and said hello. And, although we had never been especially close, she beamed back at me and even gave me a warm hug. There followed a short exchange in which we updated information about recent activities and I quickly realized that this may have been the first time she had been back on campus since retirement. I could tell she was experiencing a variety of emotions just seeing old faces and walking the halls again. This colleague had spent decades in the white hot center of faculty politics. There were few issues, controversies or changes that she sat out. And she was good at it, a shrewd judge of her opponent's agendas, skilled at in-fighting and--like all good faculty pols--you seldom knew where she stood. I never really understood her, but I have to say I liked her. Then again I never had the misfortune of finding myself in her sites. What struck me was a comment she made as we were parting. "Thirty years," she said. "Thirty years of meetings, discussions, policies, fights and now it's all just a blur." The past two weeks in the life of my institution has seen its fair share of politics. We've been re-litigating the core curriculum and thinking about the strategic plan for a liberal arts college in a world that no longer sees much value in a liberal arts education. (What else is new?) As a faculty senator I've been in these meetings and looked at the spreadsheets, projections and market scans. I've even had to do a little politicking myself, although I lack the necessary talent and instinct for it. Unlike my former colleague, everyone knows all too well my shopworn agenda. In all these meetings and discussions, however, I have felt like one of those people you read about who float outside of their body during surgery. I hear everything that's said and even make a few points myself, but there's another simultaneous perspective from which I can see the moment. It's some time in the not too distant future and I'm thinking to myself that this is all a blur. A while back I was watching a documentary on the design of gas station/convenience marts-- you know those ubiquitous commercial spaces you seldom consider. Apparently one of the key features of their design is a carefully constructed "orientation zone." This is an open, empty space of maybe 35-40 square feet directly inside the main entrance--just enough room for customers to stand for a second or two and familiarize themselves to the store's layout. 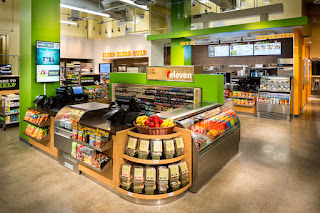 Let's face it: customers who enter a Seven-Eleven or a Kwik-Trip aren't there to browse the merchandise. They're bent on getting one or two items (maybe finding the restroom) and then bugging out. So designers must think carefully about who customers are, what they want and how the space can be configured to meet their needs. Good orientation zones will make the logic of the store's layout instantly clear. They provide open sight lines to all the signage and possible routes into and back out of the space. After seeing this documentary, I've started to notice as people enter convenience stores and--sure enough--they do pause in these zones for anywhere from a second to a second-and-a-half, just long enough to plot their next move. The idea of orientation zones got me thinking about how students transition into my classes. I don't mean the first day of a class. There's been a lot written about how to structure the first meeting of a class to set the right tone and make clear where you are headed. No, I mean the first few minutes of a typical class during the semester. On a mid-semester MWF class, for example, students walk in and we have to pick up where we were 47 hours earlier. I mean how easy is it for my students to see where we're going and why on any given day in a course? My hunch is I neither provide much in the way of clear sight-lines or signage, nor do I create a space for students to quickly orient themselves to the task at hand. I've tried various ways of remedying this weakness. Here are four ideas I've tried for creating orientation zones, which have worked with varying levels of success. Having students quiz the prof: select a group of students to pose questions about what we discussed or learned at the previous class meeting. You can mix up the selection methods (people whose last name starts with a letter before or after K, people born on even numbered days, those on the left side of the room, wearing red, etc.). I like to make the students stand in front where the professor usually is and I sit in their space. Then they quiz me on what we went over last time. Start each day with a quote or quotes to ponder: I've tried this from time to time. I put two quotes on the screen and ask students which one they agree with. Last Tuesday, for example, we were going to be contrasting Edmund and Edgar in Acts II-III of King Lear, so I began the class with Freud's quote that Man is Wolf to Man. Human beings prey on each other, exploit each other and no one looking at human history can deny this. I also put up David Hume's quote from his Treatise on Human Nature that the most remarkable thing about human beings is their capacity for empathy, even for those they don't like. The students had to move to the side of the room with the quote they thought best captured human nature. "Today," I said, "let's see if we can determine where Shakespeare is in this debate given the evidence in Lear." This exercise of moving across the room was our orientation zone to the day. We voted with our feet at the end of the class, too, and some people had switched sides. Frame each class period with a question: I've tried to do this in first-year seminar by designing each class around a single compelling question. The theme of the seminar is "Lying, Cheating and Fraud," so the questions deal with various topics: Do leaders have to lie to be successful? 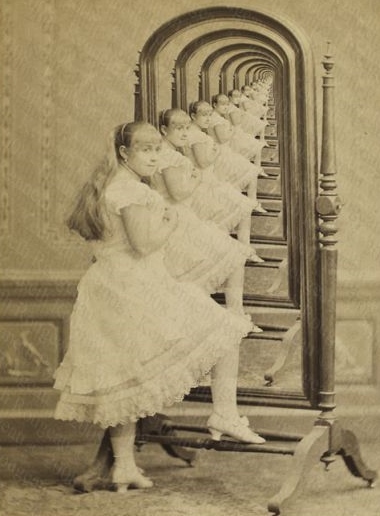 How is it possible to deceive ourselves? 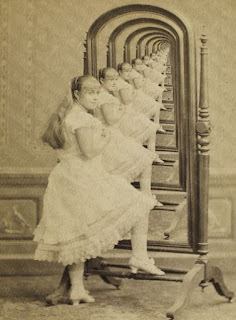 Are there times when it's preferable not to know the truth? Class begins with the announcement that this is the question we have to tackle today. Sometimes we do an initial take before diving into the material, but we always end with another check in. Okay, so what do we think now? Put an agenda on the whiteboard: I've tried this in the past. You just list on the board what the class needs to accomplish today and go through it before you begin. Then you leave that agenda up on the board until the end of the period. Think of it as good signage. We came in for a Slim Jim and a Slurpee. Here they are... I haven't done this for a few years. I should try it again and then get some feedback from students to see if it's helpful. Okay, so confession time: I've tried all these things, but to honest I've never been very consistent about it. Sometimes the hardest thing about teaching is trying to figure out how your students experience your courses (it all makes sense in my head, right?). My hunch is that students walk into my classes having lost the narrative thread I think I've so carefully plotted out in my brilliantly logical and sequenced syllabus. The likely truth is my courses contain their share of non-signifying sound and fury. I need to keep in mind that I am just 150 minutes out of their 168 hour week, and I'm only one of several intellectual spaces they are orienting themselves to during the week. I could really take a lesson from Seven Eleven. Of course, it would help if students would all come on time. Nothing torpedoes my exquisitely crafted lesson plan like three people walking in late after I've already gotten everyone into groups and given them the exercise instructions. Oy!